Boil asparagus in a large pot of salted water for 2 minutes. Drain and rinse with cold water. 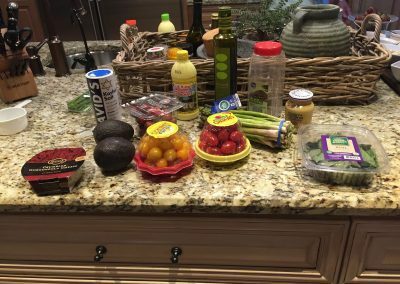 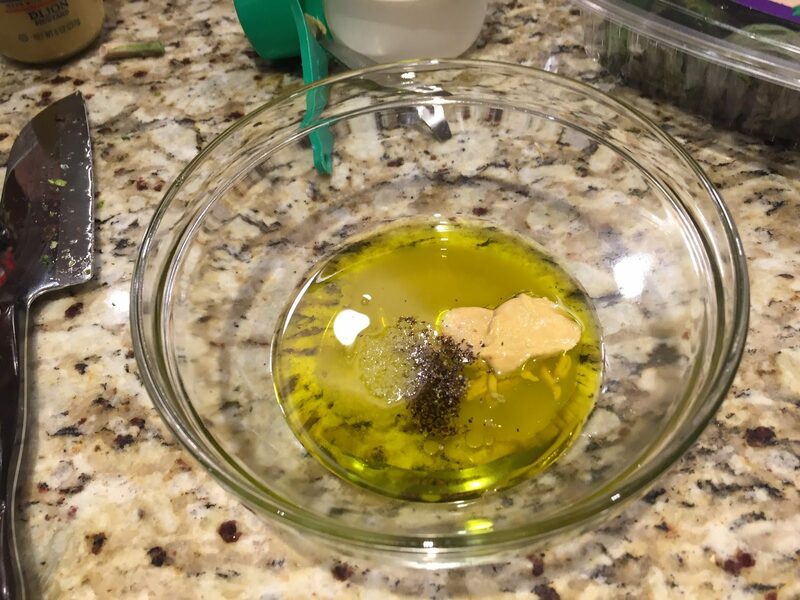 Mix dressing ingredients together in a small bowl. 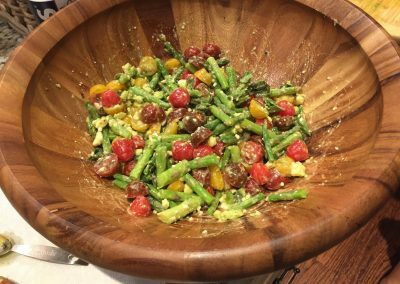 Mix asparagus, tomatoes, and basil together. 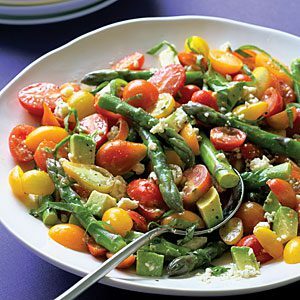 Toss with dressing and top with chopped avocado and gorgonzola.